This article is amazing in describing the new break through of the future of bionic limbs for people with missing ligaments. The perception for the actual recipients using these new gadgets are amazing. And the happiness that comes along with these people describing the perception of having the devices which are functional due to muscle reflexes in the upper limbs still there. Some respond their muscle memory makes it feel real again and others who never had the limbs to begin with see it as a miracle. To an extent this grants these disadvantages individuals with the perception of touch and feeling and motor skills they were previously incapable of having almost as a gift given back to them. 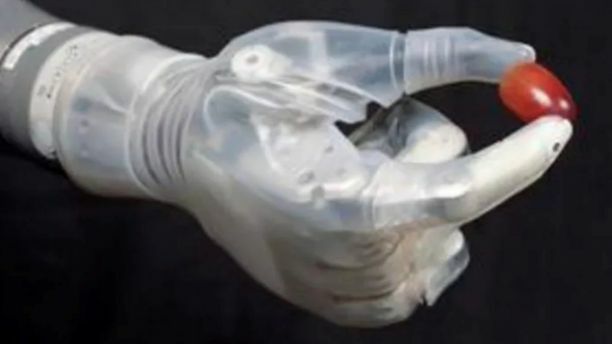 The revolution for prostatic limbs are rising and the new capabilities of these gadgets are enhancing. The hope these individuals have for these new innovations are limitless and the gift back from especially veterans who lost limbs fighting for us is a remarkable story. these new gadget innovations make precision, strength, and ability to complete regular task much easier for these disadvantaged individuals. This relates to class the way that perception is our group discussion and given perception back as a gift is truly incredible and opens many doors for a big portion of disadvantaged people not only in our country, but worldwide. This science has much room to grow and future aspirations seem limitless. This is a very interesting topic for any student who is interested in perception psychology or in the physical therapy or occupational therapy field because this opens work to therapy to get patients use to using new body parts again almost as if recovery from injury a normal one.